The device will go on sale in the country on February 14. 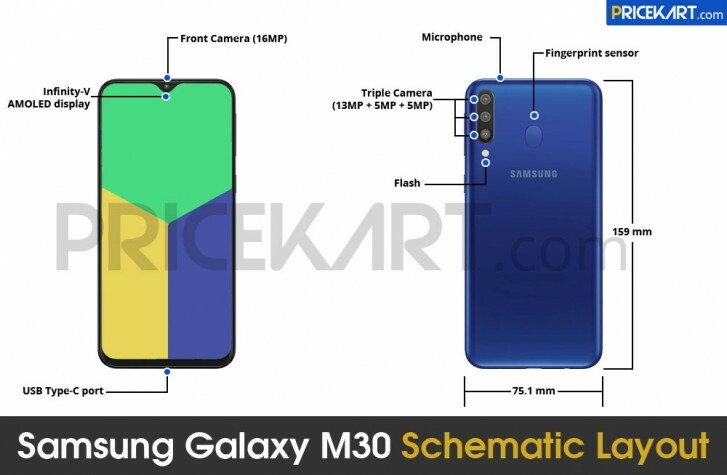 The leak was obtained by PriceKart and it reveals that the Samsung Galaxy M30 will follow a similar design language as we have seen in Galaxy M20 and Galaxy M10. The higher-end variant of Galaxy A8s with 8GB of RAM and the same amount of internal storage will apparently be available only in the originally launched trio of the Aurora Black, Elf Blue and the Alien Silver colour options. Recently though, images of the schematic layout of the handset appeared in the wild thanks to iGyaan. Going by the leaked information, the forthcoming device will be retaining design elements of Galaxy M20. The phone features the same water drop notch at the top and has a tall display. On the rear side, we can also find a fingerprint sensor and the device will be measuring 159 mm x 75.1 mm. The resolution, however, is expected to remain the same at 2220 x 1080 pixels. The Galaxy M30 will be powered by the same Exynos 7904 processor, which is present in the Galaxy M20. 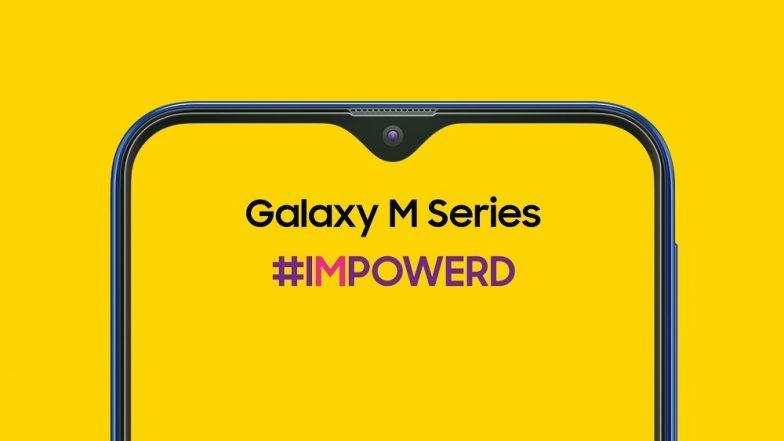 The teaser does confirm that the Samsung Galaxy M30 will feature an AMOLED display (6.38-inch) with a 16 MP front-facing selfie camera. Besides the f/2.0 aperture 16 MP front-facing camera, it will also have a triple rear camera, primary 13-megapixel sensor with f/1.9 aperture, a secondary 5-megapixel wide-sensor with f/2.2 aperture and a third 5-megapixel depth sensor with f/2.2 aperture. The Galaxy M20 is available in 3GB+32GB and 4GB+64GB variants in India. Like the M20, the Galaxy M20 also supports face unlock and adds in a fingerprint sensor for additional security. Just like the Galaxy M20, the Galaxy M30 has a USB type C port for charging and data syncing. The battery capacity remains identical to that of the M20 - 5,000 mAh.